Wondering how you can get involved in the Festival? 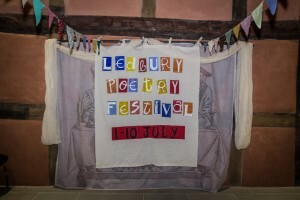 We are very much of our community, and couldn’t do the Festival without that wonderful army of volunteers who make Ledbury a “paradise garden”. The volunteers are incredibly generous and hospitable, some of them taking poets into their own homes, and giving their time so freely. All roles have an ambassador element: you are representing the Festival. 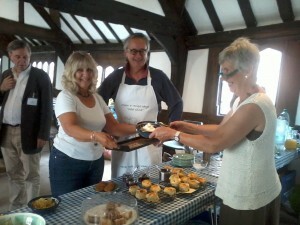 Volunteers are invited to do as much or as little as they feel able. If you are interested please get in touch with Phillippa manager@poetry-festival.co.uk or Sandra finance@poetry-festival.co.uk and we can talk you through roles. 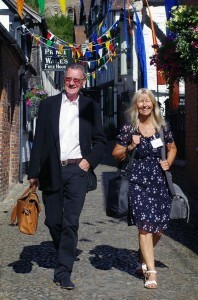 I really enjoyed my time working as an intern for Ledbury Poetry Festival. Although it is an intense 10 days, it is massively rewarding- both in terms of developing new skills and also just having a good time! Event managing was something I would have never considered doing previously but I ended up enjoying it & also becoming more confident in public speaking. Getting to interact with the poets & performers is always fun- it is really rewarding to work with people who care intensely about what they do. 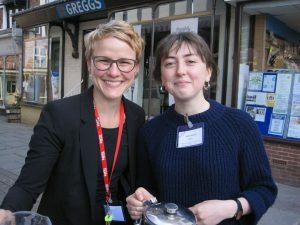 Another highlight is being able to go to events that you might’ve not otherwise gone to- the Festival always has a really diverse & interesting program and there’s always something that will surprise you. the event manager is the point of liaison between the performer, the Festival and sponsors. It is a good idea to go to many events, and familiarise yourself with the Festival to see how events run. Serving tea/ coffee/ sandwiches in Festival’s hospitality room, and occasionally at events. This role can include food preparation (sandwiches), serving alcohol, and clearing and washing up. a welcoming role collecting poets/performers from train stations and airports. Mileage is paid.